want to be an altar server? Candidate&apos;s Full Name (First and Last) REQUIRED Please fill out this field. Please enter valid data. Parent Contact Name (First and Last) REQUIRED Please fill out this field. Please enter valid data. Candidate&apos;s Birthday Please enter valid data. What are the most convenient times for your child to go through altar server training? Please be advised that some of our Masses are streamed live onto the internet and may include images of your child. The altar server assists the priest and deacon in the celebration of the Mass and other liturgies. They are leaders in our parish community by how they act on the altar. They participates in the Mass as a member of the community by praying and paying attention. They serve Jesus Christ and the Church community in a responsible way. The meet God in his presence in our Church community, holy communion (the Eucharist), common prayer, and the proclamation of the Word of God. What qualifications must an altar server have before training? Altar servers should be baptized Catholics, who have received their first Holy Communion. Altar servers should be individuals who strive to live a moral and faithful life. Altar servers should be mature enough to understand their responsibilities, and carry them out with appropriate reverence. Altar servers should receive Holy Communion in the masses they serve. Altar servers should be well instructed in what they are called to do, including proper behavior and attire. Altar servers should be able to respond appropriately to the parts of the mass, both recited prayers and various sung parts of the mass. Q: What are the requirements to be an Altar Server? Baptized Catholics, who have received their first Holy Communion. Individuals who strive to live a moral and faithful life. Mature enough to understand their responsibilities, and carry them out with appropriate reverence. Be able to receive Holy Communion in the masses they serve. Well instructed in what they are called to do, including proper behavior and attire. Able to respond appropriately to the parts of the mass, both recited prayers and various sung parts of the mass. Q: Do I need to be a registered in the parish for my child to be an Altar Server? 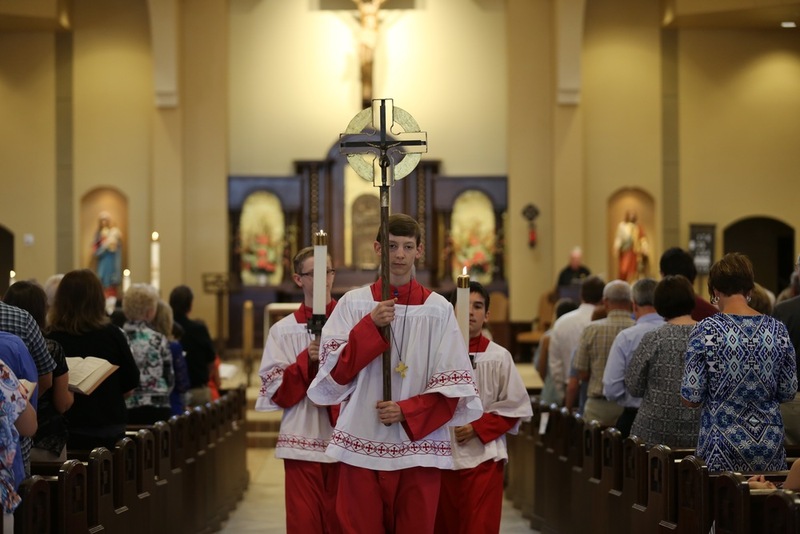 Q: How do I register my child for Altar Server Training? If you child has been Altar Serving for another parish, please note how long they have been an Altar Server. Q: How often will my child have to Altar Serve at Mass? A: We have a great program called MinistryPro scheduler. You are able to select available mass dates and times. Your child will be scheduled to match your preferences.